Hanazonochō Station (花園町駅, Hanazonochō-eki, station number: Y17) is a train station on the Osaka Municipal Subway Yotsubashi Line in Nishinari-ku, Osaka, Japan. There are two side platforms with two tracks on the first basement. Here's the our members favorite photos of "Railway Stations near Nishinari-ku". 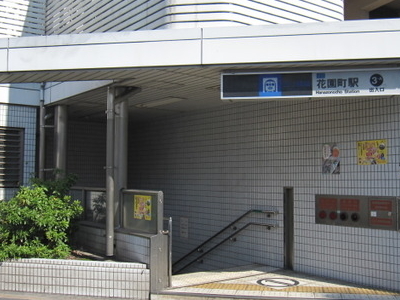 Upload your photo of Hanazonochō Station!